photo: “Legionella pneumophila 01” by CDC (PHIL #1187) – CDC Public Health Image Library.. Licensed under Public Domain via Wikimedia Commons. 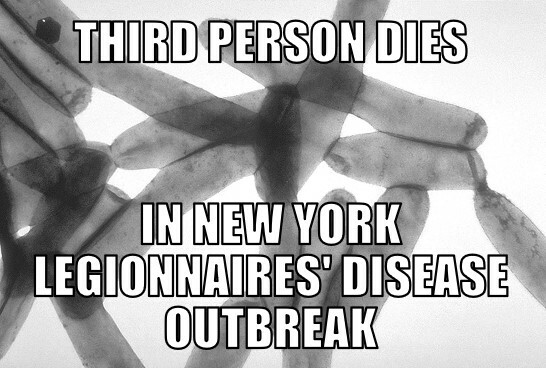 This entry was posted in Disease, Health, Memes, New York, News and tagged death, disease, health, legionnaires' disease, meme, memenews, memes, new york, new york city, news, outbreak, united states. Bookmark the permalink.